The Kimberley is located in the north western corner of Australia, from Broome and Cable Beach in the west to Kununurra and Lake Argyle in the east. It has the Indian Ocean on its western edge, the Timor Sea to the north, the Great Sandy Desert to the south and the Northern Territory to the east. The main towns are Kununurra and Wyndham in the north, Derby and Broome in the south, with Halls Creek and Fitzroy Crossing inland on the Great Northern Highway. The mostly unsealed Gibb River Road runs 660km through the heart of the Kimberley. The Kimberley is known for large swaths of wilderness defined by rugged mountains, gorges, outback desert and isolated coastal sections. The Kimberley is also home to one of the world’s largest, most varied and visually spectacular rock art estates. 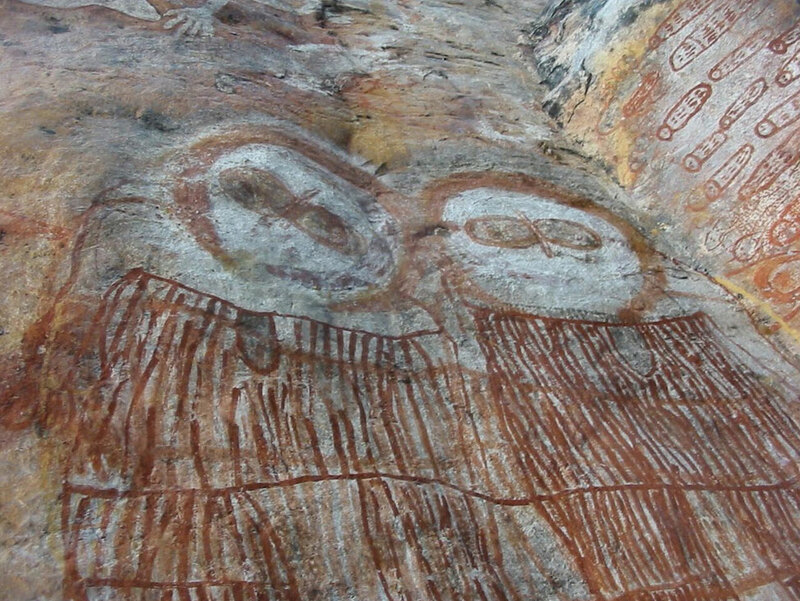 Kimberley rock art is one of the largest figurative bodies of art to survive anywhere on the planet. The area is dominated by sandstone outcrops and escarpments containing tens of thousands of rock art galleries and individual images. Rock paintings, engravings, stone arrangements, artefacts and oral histories provide primary evidence about how, when and why people first arrived in Australia, their cultural beliefs and how they lived and adapted to changing climatic conditions. Aboriginal Australians of the Kimberley are the primary custodians. See Fast Facts for more information. We knew our Kimberley trip would be enlightening. However we did not expect to be leaving with such knowledge and a deep feeling of discovery of one of the world's wonders. The north Kimberley is a very different place from anywhere we have ever been before. An amazing experience in an ancient land with dedicated and passionate people who through the Kimberley Foundation are working to uncover Australia's early history. The rock art galleries are truly spiritual and it has changed our lives visiting these beautiful and inspiring places.